Socialize, the new platform that allows mobile developers to instantly add social features to their apps, has come a long way since its November launch of its Social Action Bar. Apparently, developers are giving this one a shot…in droves. 5,500 developers have downloaded the mobile toolkit to date, with 562 apps in testing and 150 apps which have gone live with integrations. (Here are a few). 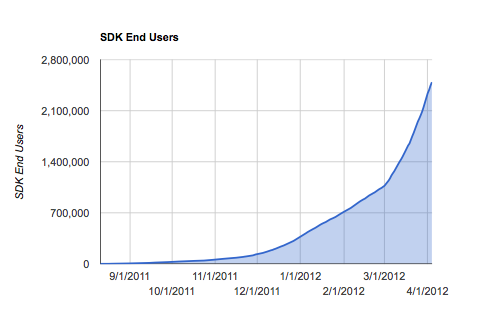 The startup is also now reaching over 10 million end users, up from 3.7 million in November. And its user base is doubling monthly, the company says. According to CEO Daniel Odio, via new downloads, the SDK now reaches 2 million end users (that is, users who download Socialize-infused apps). However, the majority of that 10 million figure comes via the company’s AppMakr channel. For background, Socialize actually grew out of the app-making service AppMakr, which had previously built apps for brands like Disney, The Washington Post, Newsweek and Politico. 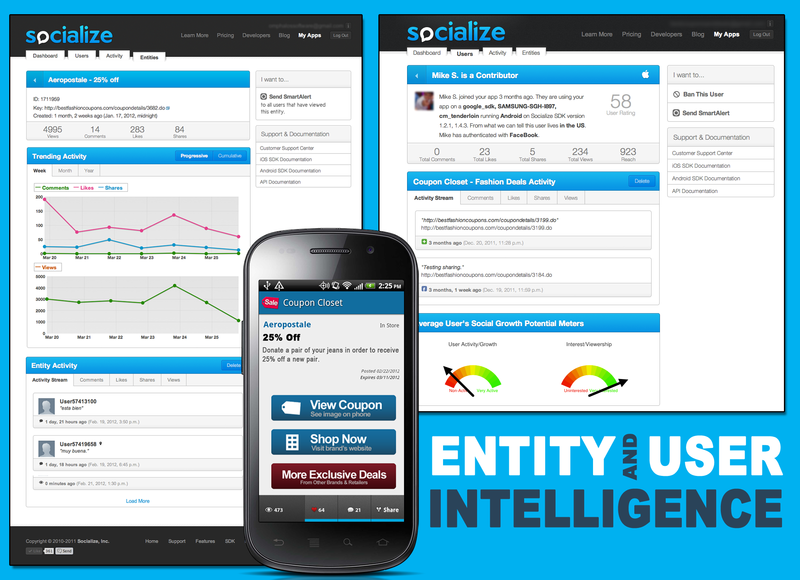 It later rebranded as Socialize with a focus on the social app SDK. Since then, AppMakr has served as sort of a testing ground for the new offerings, and was already reaching 3.7 million end users via the Socialize beta at the time of the Socialize Action Bar SDK public launch. Since then, the startup has been focused on boosting installs and impressions in apps running Socialize, and is helping developers bring in new users to their apps through the social actions of app users. As users comment, like, and share from within the app, they’re essentially serving as the app’s marketers. The company recently showcased a few success stories on its blog, where app makers were reporting increases in impressions and revenue. One, a finance app for the Spanish stock market, saw impressions go up 316%, and revenue up 257%. A couple of others, one a couponing app, another a fitness app, saw impressions increase by 120% and 103%, respectively. Socialize bootstrapped itself by selling a mobile consulting company called PointAbout to fund some of its growth, and currently has $1.5 million in angel funding to help it along. Now, with Apple’s phasing out of the UDID (the unique device identifier used for user tracking), the company hopes more developers will become interested in its service, which provides insight into user activity surrounding social actions – likes, comments, and shares. 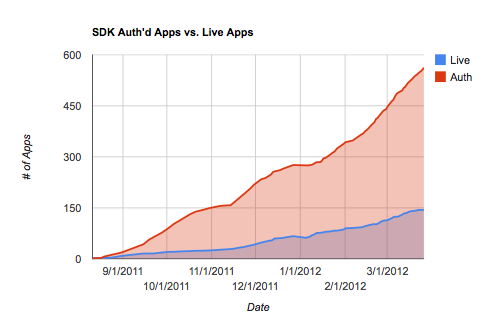 Developers can download the SDK for iOS or Android here.